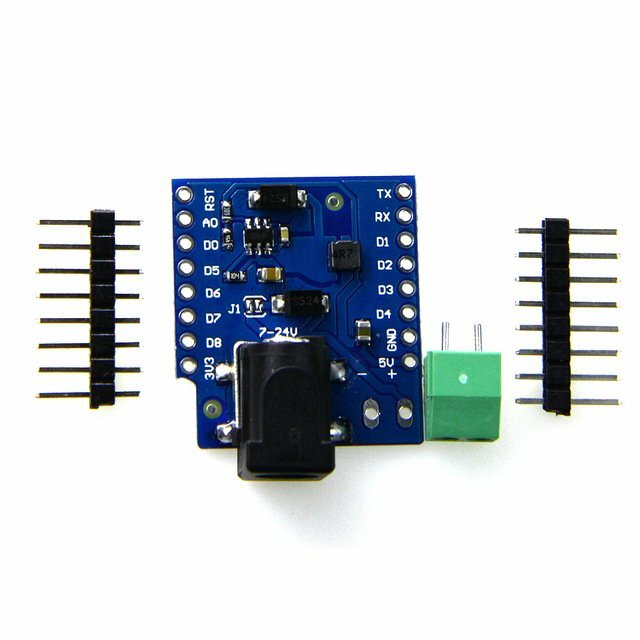 At aliexpress.com you can purchase DC Power Shield V1.1.0 for WEMOS D1 mini 7-24V 1A for only $1.60, which is 88% less than the cost in Banggood ($13.79). 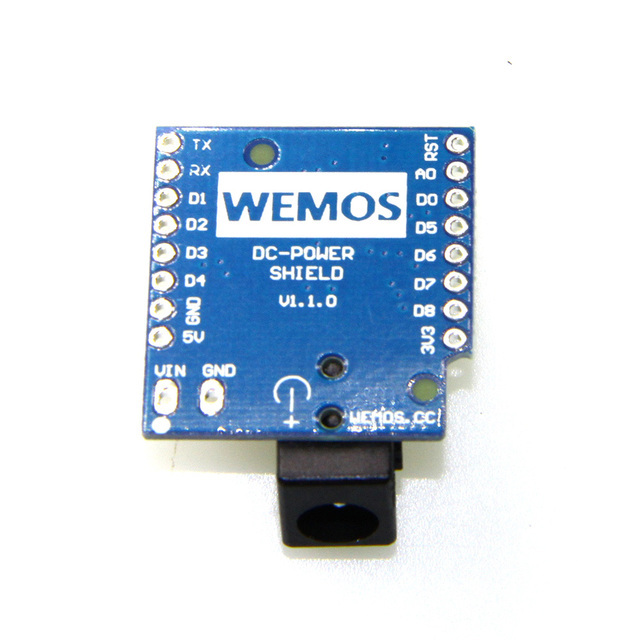 The lowest price of 5Pcs WeMos® DC Power Shield V1.0.0 For WeMos D1 Mini was obtained on 10 March 2019 2 h 03 min. 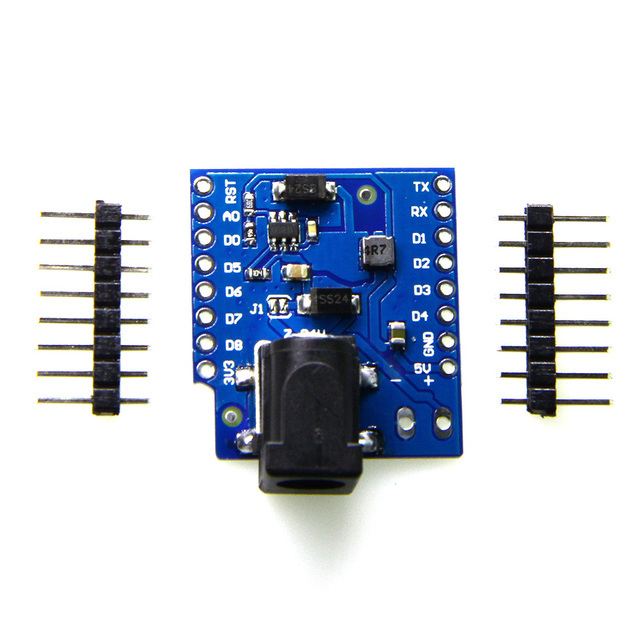 This Shield enables you to power your WeMos d1 mini-based projects with a 7 to 24 Volt (DC-Power) power supply.